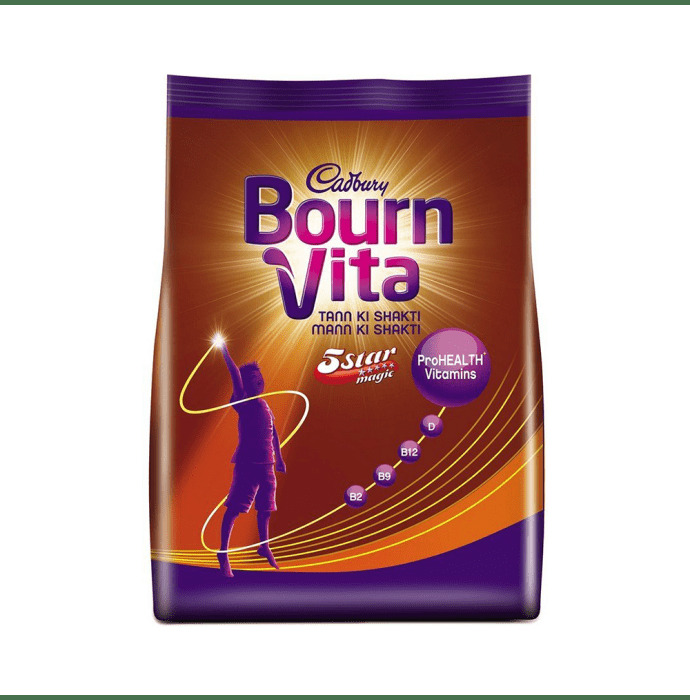 Cadbury Bournvita 5 Star Magic Pro-Health Chocolate Drink is a malted chocolate drink mix which contains a unique blend of Vitamin (D, B2, B9, B12) Iron and Calcium. Formulated with delicious five-star magic chocolate flavour it helps in providing essential nutrients and minerals which promote growth and development. It has been clinically proven to increase the levels of vitamins and iron in our body. It provides balanced nutrition and also supports brain development.